General Motors said its worldwide sales fell 10.8 percent in 2008, ending its 77-year claim as the worlds largest automaker. GM sold 8.36 million vehicles last year, putting it about 616,000 units behind the 8.97 million reported yesterday by Toyota Motor Corp. The 2008 results cap an advance by Toyota that has seen the Japanese automaker overcome a 3 million-unit deficit since the start of the decade, fueled in large part by gains in the United States. In 2008, both automakers posted sales declines. At the time of the announcement, just before 9 a.m. ET today, GM defined itself on its Web site as the annual global industry sales leader for 77 years. The description will change to one of the worlds largest automakers, said GM spokesman John McDonald. GM COO Fritz Henderson said last night that retaining the title wasnt terribly important, to him. He told the Automotive News World Congress that its more critical that GM -- which hasnt posted a profit since 2004 and has tapped $4 billion in U.S. loans to pay its bills -- is strong financially. According to Automotive News calculations, which account for some sales in China differently, Toyota overtook GM in 2007. Toyota said its sales across the group fell 4 percent in 2008, dragged down by sharp declines in North America, Europe and Japan. Don Esmond, senior vice president of Toyota Motor Sales U.S.A. Inc., said the title means little to him -- especially in a year that saw both companies losing sales. That and a buck may get me a cup of coffee, but not a Starbucks, Esmond said today at the World Congress. GM fell 21.1 percent in North America, the biggest of its four sales regions, and 6.5 percent in its No. 2 market, Europe. The company gained 3.2 percent in its Latin America, Africa, Middle East region -- for a fifth straight record -- and 2.7 percent in the Asia-Pacific territory. Car sales worldwide plunged in the final quarter amid a financial crisis that forced most automakers to slash production. GMs fourth-quarter sales dropped 26.2 percent. 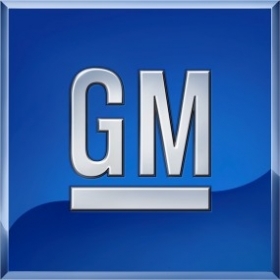 GM outsells Toyota in North America and Europe. The steep drops in those regions propelled Toyota past GM, said Mike DiGiovanni, GMs executive director of global market analysis. In the United States, the biggest single market for both automakers, GM tumbled 22.7 percent last year, while Toyota was down 15.4 percent. GM predicts a U.S. annual sales rate of below 10 million units in January, DiGiovanni said, because of a drop in fleet sales. Retail sales will maintain an 8.4 million-unit rate, about equal with that of the fourth quarter of 2008, he said. Congressional efforts to stem home foreclosures and the Obama administrations stimulus package should lead to an economic recovery by midyear, DiGiovanni said. Automotive News ranked Toyota No. 1 in worldwide sales for 2007 because 516,435 sales counted by GM came from its Wuling brand. GM owns only 34 percent of the Chinese company that builds Wuling products, SAIC-GM-Wuling Automobile Co. Automotive News counts only sales of majority-owned subsidiaries in an automakers global total.